Time-lapse of the construction of layout #5. I only did some recording at start, and the project was cancelled in the mean time. 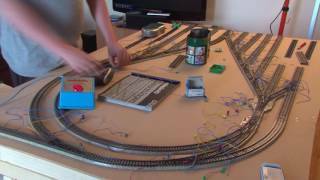 The last part of the clip shows the construction of contact tracks with Märklin M-tracks.